Mentoring is so much more than just an appointment on your calendar. It’s a way of life. I believe that the single most important influence of your twenties is not the degree you pursue, the job you take, or the person you date… but the person pouring into your life and shaping you—your mentor. A mentor is someone further along who sees your potential and walks with you in becoming who God created you to be. A mentor is a friend, guide, and confidant who offers a listening ear, honest feedback, and spiritual encouragement for all of life—your faith, education, career, relationships, and more. She helps you identify and maximize your strengths and giftedness, uncover your calling and passions, and flesh out the day-to-day realities of following Jesus. She is truly indispensable. The question is: do you have a mentor? Face to Face will help you get one, walking you through the why, when, where, and how. "Face to Face" is a beautifully written guide that teaches both "mentors" and "the mentored" to faithfully take the journey together to find purpose and understanding through Jesus Christ. Because I know the heart of this author so well, and because "Face to Face" is so real and uplifting, it will be a book that will stay by my bedside for years to come. Face to Face is a lovely nudge into the rich world of 'mentoring and being mentored.' Don't shrink back! Jayme's experience and words will show you the way! Mentoring has the power to change and shape lives, and enhance the disciple-making efforts of any local church. This book is a Gospel-centered resource that drives home that value, and helps each of us consider how we might establish mentoring relationships in our own lives. Face To Face is wonderful call for women to fight the Gospel battle that's raging in our culture today by mentoring other women into true Biblical freedom. Once free in Jesus, they become formidable enemies of the devil’s lies and brilliant testimonies of God’s truth. What a liberating book! My walk with Jesus has reached new heights because of inviting in the right mentor to speak love and truth into my life. The principles Jayme presents in Face to Face have the power to help you reach your true calling; the calling Jesus has for YOU as His beloved daughter. Priscilla BabrickMillennial Professional & Consultant, Chick-fil-A, Inc.
Jayme is a gifted speaker, teacher and writer. I encourage you to check out this book as Jayme makes a compelling case of why mentors are essential to the spiritual growth and the well-being of an individual. Face To Face is an outstanding book to help revive the powerful concept of Mentoring for the next generation. Jayme addresses critical issues facing the Millennials with practical insights on the process and practice of doing life together. This is a great resource worth reading and then doing. Face to Face helps millennials understand the value and the practicalities of finding a mentor. 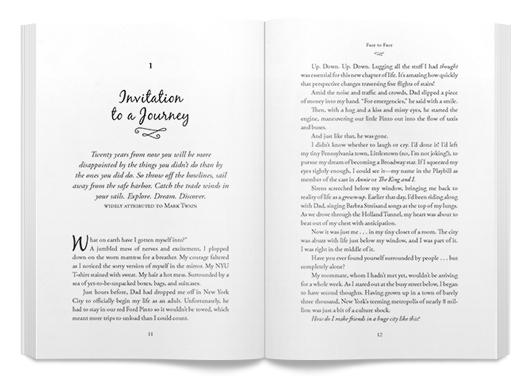 I appreciate Jayme's sharing some of her personal journey, making the book even more engaging to read. I highly recommend this book to millennials and to ones who work with millennials. This book provides an authentic view into the heart of God, the Creator of community. As my friend, Jayme, shares about finding community through mentorship, she also unlocks biblical wisdom that is sure to help you navigate your ever-evolving journey in a way that keeps your purpose at the forefront. Jayme Hull is an amazing woman who practices what she preaches, and it has been my absolute delight to mentor her over the past year as she’s been preparing to release the phenomenal book you hold in your hands. When you get to know Jayme, you’ll understand how passionate she is about having a mentor, and being a mentor. I believe Face To Face is not just a ministry, but a movement that will equip the body of Christ to more effectively pass the baton of faith from one generation to the next! There is never an age that relationships are not needed! However, when one finds themselves in their 20’s their need for guidance and friendship is especially huge! 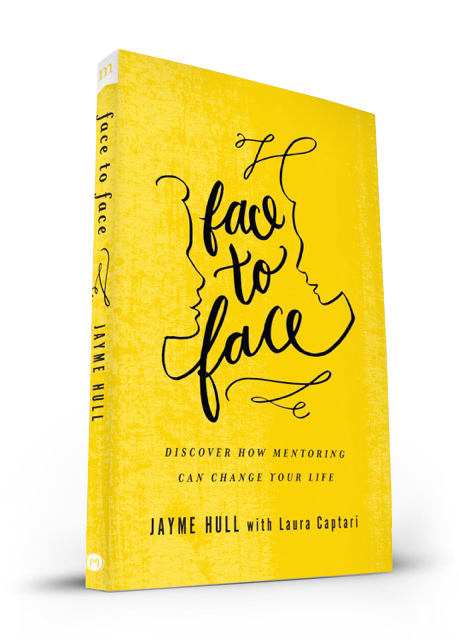 Jayme Hull does an outstanding job in “Face to Face: Discover How Mentoring Can Change Your Life” helping millennial’s set their lives up for real success!! Mike LinchSenior Pastor, Northstar Church, Kennesaw, GA.
Jayme Hull has written a spiritual and practical guide to developing a heart and game plan for mentoring others. You will be tremendously encouraged and blessed by this anointed book, Face to Face. Face-to-Face” is a needed cure to the disconnection and loneliness many are experiencing in our digital world today. This book is a warm invitation to experience true life change through mentoring. Face To Face is an essential tool for the journey of mentor relationships for both Mentee and Mentor. It walks you through the steps and side steps that come in life, guiding the best way to find, embrace, learn, and grow from a mentor. All while providing all important reminders of the foundation for which those relationships stand, God. Interact with Jayme on Facebook Learn More about Mentoring! Get a sneak peek at Jayme's story and learn the difference mentoring can make in your life! By downloading this free resource, you agree to receive updates from Jayme. You may unsubscribe at any time.